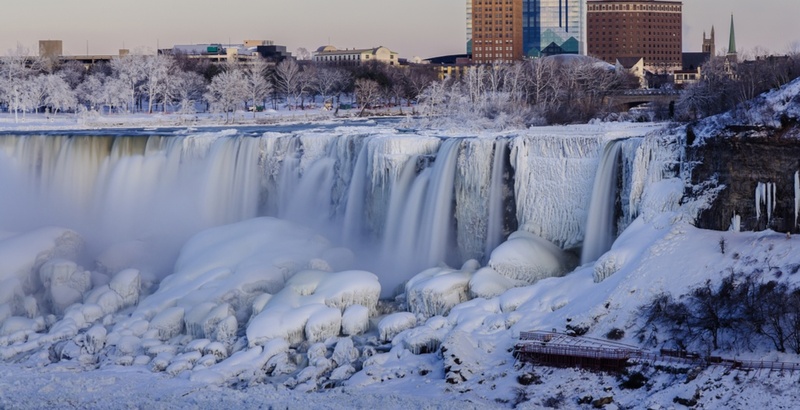 Looking to get away from Canada’s frigid weather? You might want to head to the North Pole because it is currently warmer than some places in our beautiful country. 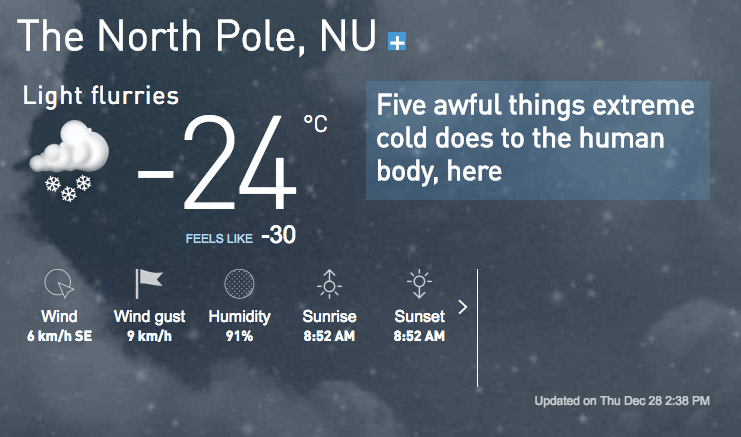 According to The Weather Network, the temperature in the North Pole currently feels like -30°C with the wind chill. In Montreal, temperatures feel like -34 °C with the wind chill. Saskatoon, Saskatchewan, feels like -33°C and it gets even worse in Churchill, Manitoba, where temperatures are a frigid -42°C. Even if you were to make a trip to Mars, you’d be a tad warmer than you would be in Montreal, Saskatoon, and Manitoba. According to NASA, today’s temperature on Mars is -23°C. But in all seriousness, if you’re looking to get away from the frozen tundra that most of Canada is experiencing right now, head to Vancouver where sunny skies and temperatures as high as 7°C are expected over the next few days.